We are trying to entice hummingbirds to the RainyDayGarden. A few weeks ago, we got a couple of beautiful glass feeders from our favorite garden-gear source, Gardener’s Supply Company, and put them up. So far, no luck in spotting the little hummers. However, we are hopeful that our efforts will be rewarded now that the trumpet vines and cone flowers are in full bloom. When we were at the Franklin Park Zoo in June, not all of the exhibits had opened. One of those was the Butterfly Landing. We have been meaning to go back to the FPZ to check it out. So when we heard that the FPZ had some hummingbirds nesting there, we dropped everything and headed over to take a look. According to the FPZ guide we were chatting with, these are Costa’s Hummingbirds,are not native to the New England, and normally do not breed outside their California/Arizona area. So, the fact that they have built a nest and have laid eggs at the FPZ is quite the event! 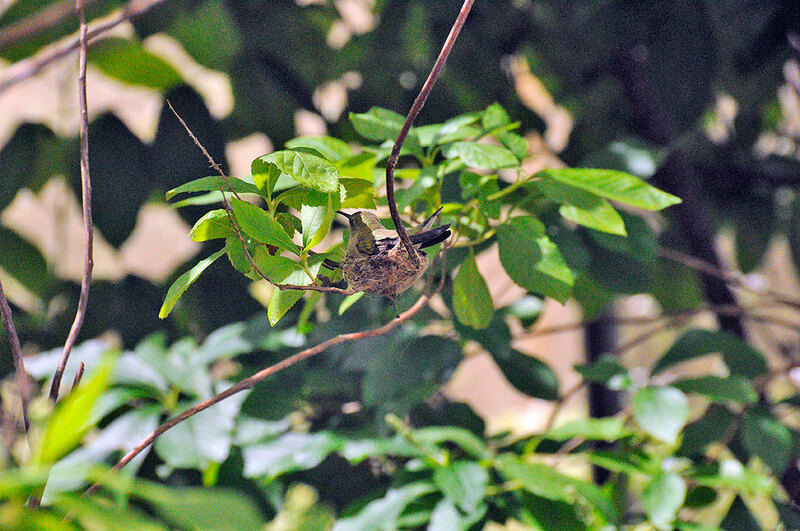 There were three Costa’s Hummingbirds (2 males, 1 female) in the Butterfly Landing enclosure. We only spotted two of them (female, male) while we were there. Apparently, the males are quite shy and like to stay high up in the trees. The female is a much bolder and pays visitors very little mind as she sits in the nest just a few feet off the ground in a bush by the exit. 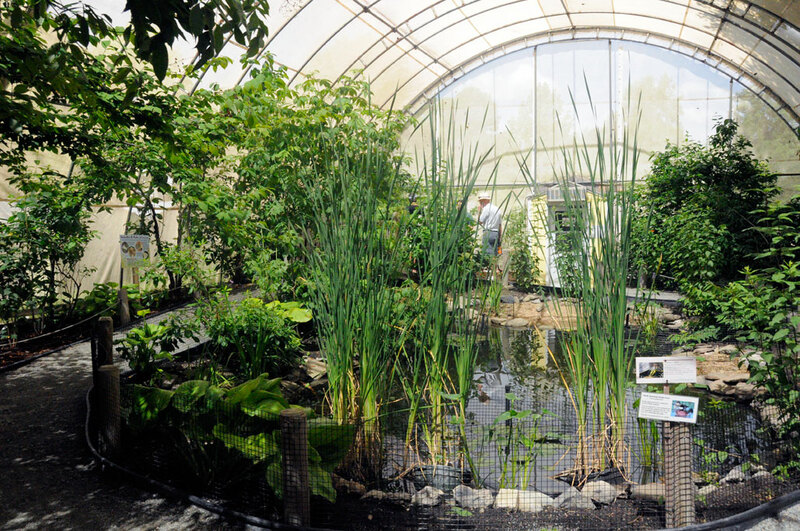 The Butterfly Landing is a tented, outdoor exhibit featuring several garden beds, water features (waterfall, pond), and relaxing surround-sound music. It is a great place to go to decompress. 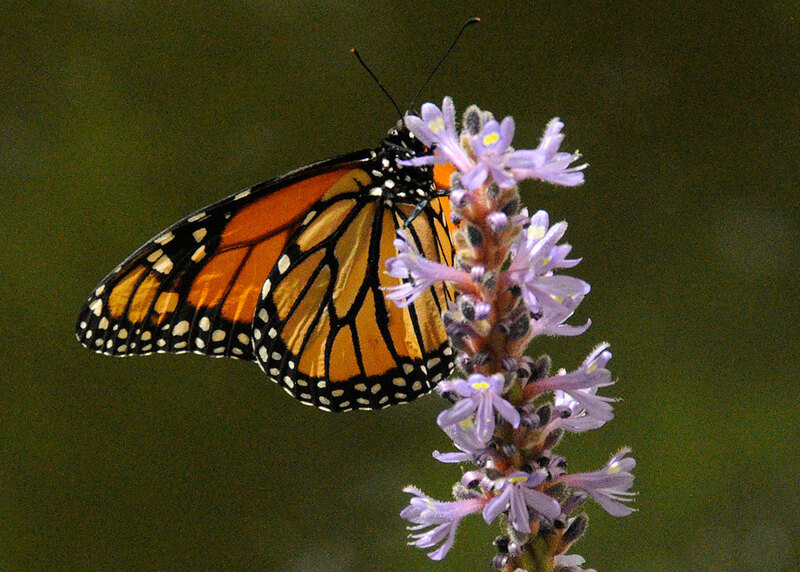 The Butterfly Landing is a seasonal exhibit which opened on June 16, and depending on the weather, will delight visitors to sometime in mid-September. If they had tables and free WiFi, we would go hang out there and work instead of at the local Starbucks! The Franklin Park Zoo is such a cool resource. We can’t believe that we have been in Boston for so long and that this is our first year discovering its wonders. We are making up for it with frequent visits (January, March, May, June, Corpse Flower). If you have not been to the FPZ, we suggest that you become a member immediately and go as often as you can.